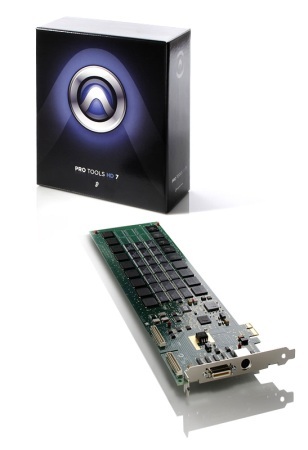 Developed for professional recording, editing, and mixing projects, the Pro Tools|HD® 1 system combines a single core DSP card running Digidesign’s proprietary TDM II bus architecture with the processing resources of your computer. This entry-level system delivers rock-solid performance, guaranteed track counts, access to high-quality Digidesign audio interfaces and peripherals, and exclusive TDM plug-in processing. Note: All Pro Tools|HD systems require the presence of at least one Pro Tools|HD audio interface (purchased separately). Add interfaces to extend your I/O capabilities. Incorporating the latest advances in audio, synchronization, and MIDI technology, Pro Tools|HD® I/O interfaces work together with your Core system to deliver unparalleled sonic quality and functionality. Custom-configure your system by choosing from a wide range of interfaces, which deliver high-resolution audio with built-in sample rate conversion; flexible analog and digital I/O in the most popular formats; pristine, remote-controllable preamplification; sample-accurate MIDI; and versatile synchronization capabilities. Pro Tools|HD audio interface with up to 16 channels of analog and digital I/O at 192 kHz. Pro Tools|HD audio interface with up to 16 channels of digital I/O at 192 kHz. Pro Tools|HD audio interface with up to 16 channels of analog and digital I/O at 96 kHz. Pro Tools|HD audio interface for line-level inputs, with up to 16 channels of I/O at 96 kHz. Remote-controllable, world-class, eight-channel mic preamp for Pro Tools systems or stand-alone use. Pro Tools system peripheral that provides near sample-accurate lock to time code or bi-phase/tach signals and a 192 kHz–capable, high-fidelity, low-jitter Word Clock. Striking the perfect balance of simplicity, efficiency, and power, Pro Tools® HD 7 software blends a wealth of exclusive, innovative tools with a streamlined user interface. This award-winning software, included with all Pro Tools|HD® Core systems, has become the industry-standard creative platform used by both music and post production professionals around the world. Pro Tools HD 7 software offers an unrivaled collection of features for creating, tracking, mixing, and delivering professional music. creative song development. Even experiment freely with different arrangements on the fly — all nondestructively. 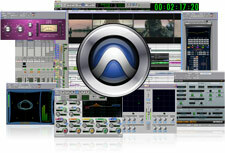 Pro Tools HD 7 software offers superior features and functionality for the recording phase of production. The dedicated DSP and TDM II bus architecture yields extremely low latency, enabling performers to comfortably monitor through the system during recording, even if real-time processing is applied. Start tracking in virtually no time thanks to recallable custom mixer templates. Easily provide individual cue mixes for each performer in the recording session. With high-performance, 192 kHz–capable Pro Tools|HD audio interfaces boasting some of the best sonic specifications in the industry, you’ll be guaranteed superb sound quality recording into the system. 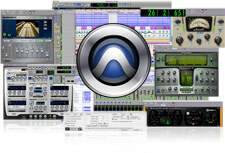 Pro Tools HD 7 software offers the ultimate in mixing power and flexibility. Develop hit songs using the power of the most sophisticated dedicated DSP hardware and the added processing power of the computer. Use the very best third-party effects plug-ins for EQ, dynamics, reverbs, classic studio processor emulations, and more. Take advantage of the most powerful automation in the industry. Choose a format, from mono to 7.1 surround, or mix in multiple formats simultaneously. Use ICON to combine the familiar feel of a traditional mixing console with power and flexibility of the industry-standard digital audio workstation. When you work with Pro Tools HD 7 software, you’re working with the standard for professional music production. Enjoy full compatibility with countless Pro Tools–equipped studios and facilities around the world. Easily exchange entire sessions or individual session elements with others working on a project. Deliver projects in nearly any standard format with ease via Pro Tools software’s advanced integration with DigiDelivery® file exchange system. Pro Tools HD 7 software provides the most powerful capabilities for film, video, broadcast, and multimedia projects in the post production industry. Pro Tools HD 7 software boasts more options for integrated digital video than any other digital audio workstation, providing a seamless audio/video workflow experience. With Pro Tools HD software and either the Digidesign AVoption|V10™ or Avid Mojo® video interface, you can capture DV25 quality video directly to the Pro Tools timeline for instantaneous, near-sample-accurate sync. For a more sophisticated capture and conform solution, the Avid Media Station|PT application (included with AVoption|V10 and offered as an option with Avid Mojo) enables you to import an edit decision list (EDL) or existing Avid® sequence, re-digitize, render effects, and export to Pro Tools for audio sweetening, then re-sync the final audio to the original video and lay them both back to tape or export as a digital movie. DigiTranslator software option for accurate conversion and exchange of OMF®, AAF, and MXF audio files, video files, and sequences directly through the Pro Tools application. Pro Tools HD 7 software features a powerful collection of editing tools that go far beyond simple cutting, copying, and pasting. Use a host of single-key edit commands, real-time MIDI editing functions, and other features to execute, organize, hear, and view your edits easily and nondestructively. Access the integrated DigiBase Pro file utility to find and manage the large number of audio and MIDI files, sound effects and video sequences that can accumulate in post production projects. Tight integration of digital video lets your perform all your editing, recording, and sound design tasks with near sample accuracy against picture. Choose from a wide range of instrument and effects plug-ins for sound design and creative music composition. Use Pro Tools HD software for recording Foley, sound effects, voiceovers, and dialog replacement. Use Pro Tools HD 7 software to mix a massive film project using the system’s powerful, dedicated DSP hardware plus the added processing power of the host computer. Take advantage of integrated multi-channel mixing, panning, and processing, with support for all standard formats. Powerful third-party plug-ins provide a variety of tools needed for intricate dialog processing, noise reduction, room simulation, and more. Unmatched integration of digital video lets your perform all your mixing, processing and automation tasks with tighter-than- frame-accuracy against picture. Use Pro Tools HD software with an optional control surface for greater hands-on control. Or move up to an ICON integrated console environment for the ultimate post production solution, with unparalleled flexibility and workflow optimization. With ICON, projects can move seamlessly between the editorial and the mix stage with full compatibility using a single automation system. Industry-standard Pro Tools HD 7 software lets you easily exchange sessions and individual files with a full range of Avid and other video systems. Use the integrated DigiTranslator software option to import and export AAF, OMF, and MXF files to and from Pro Tools. Deliver even the largest projects rapidly and securely with the DigiDelivery file exchange system. In addition to the latest Digidesign® Pro Tools® HD software, every Pro Tools|HD® Core system includes a comprehensive collection of over 40 plug-ins from Digidesign and Digidesign Development Partners for a myriad of creative effects processing options right out of the box. From pristine EQs and dynamics processors to unique modulation effects and sophisticated amp modeling tools, the TDM, RTAS®, and AudioSuite™ plug-ins bundled with Pro Tools|HD Core systems give you a full range of processing options. The HDpack collection for Pro Tools|HD 1 systems includes seven highly coveted Digidesign® and Digidesign Development Partner plug-ins worth thousands of dollars. The first plug-in from Digidesign's Advanced Instrument Research group, Xpand!™ is a powerful instrument plug-in that puts more than 1,000 professional sounds at your fingertips. The free Bomb Factory® plug-ins offer powerful effects and utilities from the makers of some of the industry's very best digital emulations of classic analog processors. The newly enhanced Pro Tools Ignition Pack 2 and premium Pro Tools Ignition Pack 2 Pro bundles provide a wealth of professional plug-ins, virtual instruments, compatible applications, and sounds to inspire your creativity and refine your talents. Both bundles also include special artist promotion services to help you make your talents known to the industry and new fans around the world. Pro Tools Ignition Pack 2 Pro comes with all new Pro Tools|HD system purchases. Used on countless commercial recordings and post production studios worldwide, DigiRack™ is an essential collection of high-quality real-time and file-based effects and utilities.